RV makers are rolling to record highs. 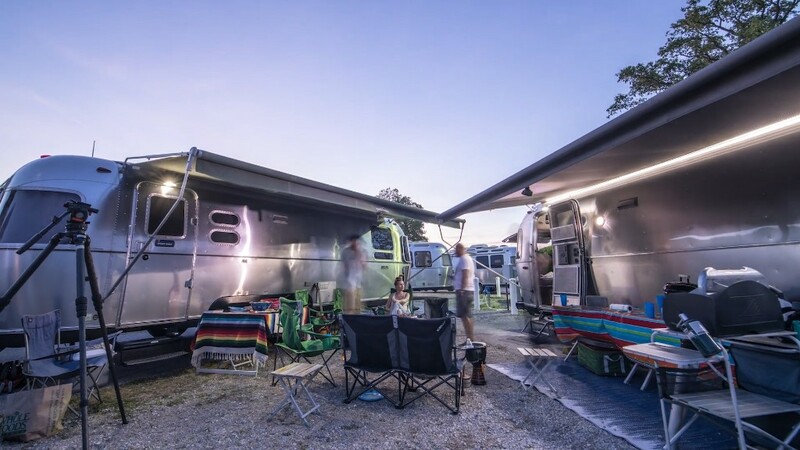 Thor Industries, which makes Airstream and Jayco, reported its best quarter in history this week. The company sold $2.2 billion worth of trailers and motorhomes this past quarter, and it says it can't make RVs fast enough to keep up with new orders. Thor (THO) shares are up 55% this year. Winnebago (WGO) shares are up 72%. Camping World (CWH) has climbed 43%. What's driving RVs popularity? Why now? A combination of Baby Boomers retiring and an explosion in younger first-time buyers, said SunTrust analyst Michael Swartz. First-time buyers made up 34% of RV purchases in 2016, according to the Recreational Vehicle Industry Association. A typical RV owner is now 45 -- down from 48 in 2015 -- the group found. "The current expansion has been driven largely by new consumers adopting the RV lifestyle," Thor said in an investor release Tuesday. Thor has touted its appeal to younger consumers by highlighting how they can use towables and motorhomes for a range of outdoor activities, including camping, tailgating at sporting events, and weekend getaways. New technology on board makes RVs more appealing as well for cross-country outings, and towables are lighter and easier to haul around on the back of a truck. Pricing is a major draw too. Towables, which you can find for under $10,000, are still the main sellers on the market, but motorhomes starting at around $65,000 are on the rise. "It's a similar cost to an SUV, but with a bedroom," said Swartz. Americans' love for the outdoors (and staying overnight at parks across the country) is also playing a role. 75 million households in the country actively camp, according to ​Kampgrounds of America's annual report. "Millennials are driving the growth of camping in America," the report said, totaling 38% of active campers. And the National Parks Service reported overnight visits in tents or RVs last year hit their highest level in 20 years. America's new-found love for RVs is also a helped by a strong economy. High consumer sentiment, improving household wealth and low interest rates all contribute to the industry's strength. "It's a confidence game with a lot of these large discretionary items," noted Swartz. Expect the smooth ride to continue as long as the economy remains strong and consumers keep spending on big-ticket purchases. RV sales fell by more than 30% in 2008 and 2009, but bounced back in 2010 as the economy gained strength.